Emerging dimensions of diversity are arising in the workplace. Here’s how to leverage them to thrive through disruption. Disruption is everywhere. The evolution of technology, globalization, and demographics is upending business and organizational models, changing customer and citizen behaviors and transforming the competitive landscape. To thrive in this transformative age, an agile and diverse workforce — guided by inclusive leaders who draw out their organizations’ fullest talent potential — is a critical enabler to remain competitive and adapt to rapidly shifting market dynamics. The relationship between diversity and innovation is well-recognized. More diverse teams unlock innovation and consequently lead to stronger organizational performance. They also drive superior financial performance. For example, a recent study by Nordea Bank of 11,000 publicly traded companies around the globe over the past eight years found that women-led companies had an annualized return of 25 percent, vs. the MSCI world index of 11 percent. In short, women-led companies outperformed the benchmark by more than double. At the highest levels of organizational leadership, as well as in boardrooms, much of the conversation revolves around inherent diversity (e.g. gender or cultural background). However, the current climate of disruption brings to light other dimensions of diversity, prompting the need for organizations to expand their diversity and inclusiveness agendas to maintain market competitiveness. We’re not suggesting a shift away from the importance of inherent diversity, as we recognize that it shapes the differing experiences and life perspectives that are needed in the workplace. Rather, we hone in on emerging dimensions of diversity in today’s ever-changing workforce — dimensions that are in varying stages of exploration across different regions around the world. The world is being disrupted but the forces for sameness are quite strong. Here we highlight four sources of emerging diversity for consideration in both public and private-sector organizations. These include the multigenerational workforce, contingent or “gig” workers, cognitive diversity, and intelligent machines. We recognize that these are not exhaustive and will continue to evolve over time. Although disruptive forces will be ever-changing and dynamic, leading inclusively is one of the constants that can enable organizations to respond with agility and thrive through disruption. We define inclusive leadership as the set of behaviors and actions individuals display when they open their minds to perspectives different from their own and make sure that everyone on their teams and around them can contribute to their best. The workforce demographic is changing, and organizations need to change with it. In general, teams make better decisions than individuals 66 percent of the time. When adding diversity to the equation (including age, gender and geography), teams make better decisions 87 percent of the time. If people in the company better mirror the general population and can bring different perspectives and skills, the organization can drive targeted and purposeful innovation. Combining the knowledge and history of experienced generations with the fresh take of newer generations can lead to more successful outcomes, particularly when the mix is carefully tailored to the task at hand. However, differences between new generations and old can create frictions in an organization and, if left unchecked, negatively impact its performance. Such biases can discourage collaboration, cohesion, and the flow of new ideas, thus hindering innovation. At the same time, there is opportunity for these frictions of different experiences and points of view to lead to innovative ideas, higher quality solutions, and more accurate decisions. Seek out multigenerational views, making greater generational range a priority. Set organizational and team structures to embrace and reward a culture that actively draws on the voices of multiple generations. Plan for the growing “new normal.” Anticipate the generational transition and put mechanisms in place now, such as establishing mentorship programs. As boomers retire, knowledge transfer and succession planning for clients, governance, and strategy will be key challenges. Recognize that true two-way communication includes all voices. Proactively seek out input across the range of cohorts in the organization. Creating a “shadow board” of millennials, boomers, and Gen X to advise and offer inputs could be one way to develop inclusive leadership at the highest echelons of corporations. We have found a good balance between “new blood,” new and young innovative people, and older people that already knew our business and customers well. And we’ve given each space and freedoms to develop. Advances include that we are quicker on the market with new products, we have more innovative products, and importantly, we are now working more state-of-the-art. EY, Global generations: a global study on work-life challenges across generations, 2015. Gig workers can bring fresh perspectives and new skills. The use of contingent workers is not a new trend; companies have been using temporary workers to control costs and meet seasonal needs for decades. However, the data from two EY surveys suggests that large organizations are deploying contingent or “gig” workers for strategic business reasons as well. 50 percent thought gig workers could help their organization overcome resistance to change. 56 percent thought that gig workers could bring in expertise beyond the capability of their existing workforce. Through their independence, these workers can provide fresh perspectives and challenge organizational norms. Working a portfolio of jobs across industries and being unencumbered by organizational politics and process, contingent workers can provide near real-time insights and great strategic value. Their cross-industry knowledge and flexibility are particularly important to companies that may be exploring new business models, products, and services for future revenue streams. However, blended team dynamics may exclude the “gig” worker or marginalize their point of view. Leaders who cultivate inclusiveness can break through this barrier and grow the contributions from contingent and permanent colleagues. Provide “gig” workers with a support system in your organization, starting with activities such as assigning an experienced team member as a buddy during onboarding. Make sure that ongoing support is available to benefit integration to the organization. Transparently share information with all members of the team (not just a select few). Clearly set norms, expectations and objectives for the entire team at the outset, remembering that these are often implicit to experienced team members but may be unknown to the contingent worker, potentially amplifying a sense of “outsider” status. Teams with a culture of trust can unlock the potential of cognitive diversity. Corporate cultures often implicitly or explicitly encourage conformity to a set of behaviors. This is beneficial to maintaining operational efficiency but over time can make the workforce inflexible, even paralyzed. Blind spots also become a risk, while the rest of the world transforms. With industries converging, professional diversity is also on the rise. For example, technology companies are hiring Hollywood scriptwriters, novelists, and poets to help craft better conversational interfaces. 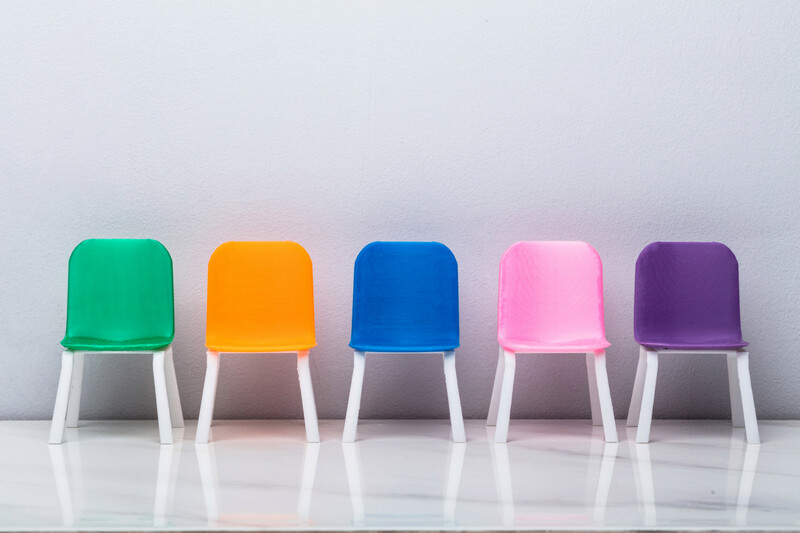 As disruption becomes a staple of the business landscape, it is more important than ever for companies to nurture the cognitive diversity that comes with professional diversity as well. This includes neurodiversity as well, and those who might experience and value the world in a completely different way. The potential of cognitive diversity is unlocked in teams with psychological safety — where trust is high and employees have space to present dissenting opinions and challenge entrenched thinking without threat to status, brand or sense of belonging to the team. Page, S., The Difference: How the Power of Diversity Creates Better Groups, Firms, Schools, and Societies. The mere presence of diversity in a group creates awkwardness, and the need to diffuse this tension leads to better group problem solving. Leaders can create psychological safety for their teams so that cognitive diversity is not suppressed, and individuals are encouraged to attempt different approaches to problems even if they don’t yield results. Encouraging divergent thinkers can aid corporate leaders in avoiding stagnation and even in mitigating the risk of obsolescence. Keep decision-making processes open for input and understanding. Ask each person on the team to share their ideas and perspectives. Create a safe environment to question, challenge and share non-traditional ideas for consideration (whether they end up being the final decision or not). Ask what perspectives have not yet been heard. Be open and transparent about the reasons for your decisions and what you prioritize — and if you are the most senior leader in the room, give your own point of view last, not first. A diverse workforce consists of humans and machines. Governments and business alike are closely watching the capacity of AI-enabled machines to replace humans in many occupations, across many sectors. OECD analysis suggests that its effect will depend on the speed of the development and the diffusion of AI technologies over the coming decade. However, there is room in the picture for AI to augment human capabilities at work. As smarter machines enter the work environment, organizations can consider how they will maintain diversity and an inclusive culture in a shrinking workforce, with eyes open to AI’s flaws. There is known risk that AI may propagate unconscious or unintended biases since it is built on human-provided data. As the workforce shifts — to more gig workers, to the incorporation of more advanced skills and capabilities — positive opportunities are created: roles can be elevated, with new space for innovation to flourish in an inclusive environment that brings humans and technology together. One of the challenges when we talk about digital transformations is that it makes the people disappear, but unless you put the people in the center of the story, it’s never successful. Consider the broader range of skills that will be necessary in an era of intelligent machines. Roll out training and development programs to upskill the workforce on competencies that will likely remain the bailiwick of humans, such as curiosity, inclusiveness, agility. and resilience. Take a long view of diversity in a rapidly changing environment. Organizational leaders will need to continue building a diverse pipeline of candidates. Engaging with communities and schools along with workforce training initiatives present opportunities to make sure diverse backgrounds have the skill sets needed. Look for blind spots in your algorithms, as biases can be unintentionally perpetuated, and even amplified, in AI. Including diverse views and voices as algorithms are built and maintained is critical to avoiding this trap. The friction and tension that comes with different perspectives being heard and valued lead to really fresh ideas and great new ways of getting things done. To thrive in disruption, a culture in which people team and lead inclusively will help organizations tap into the vast potential of a diverse workforce. Establishing the organizational structures and governance necessary, to drive accountability for impact, will be the defining features of inclusive and successful leadership. In many global organizations today, abundant differences naturally exist. However, there may be a tacit expectation that everyone adapt to the dominant behavioral culture — sidelining many of the benefits that may be realized from recognizing and celebrating all differences. To be successful in a changing environment, a high level of self-awareness at all levels of the organization is a critical enabler. Actively and purposefully seeing and pursuing the benefits of our differences will require a concerted and institutionalized effort. In addition to the strategies mentioned throughout this paper, leaders can explicitly ask themselves and their teams, “Is this a preference, tradition or requirement?” Examining criteria and decisions through this exercise can disrupt our natural tendencies, surfacing the unintended biases that may be underlying certain processes and facilitating self-reflection. While change will not happen overnight, 2018 can be the start of a sustainable path toward new organizational norms that fully enable the breadth of employee talent to propel us onward. OECD, “Digital Economy Outlook,” 2017. Further contributors to this article: Rebecca Hiscock-Croft — EY Global Government and Public Sector, Lisa White – EY Diversity & Inclusiveness and Prianka Srinivasan — EYQ. To drive innovation and inclusive growth, the active pursuit of a diverse workforce must be a central pillar of a firm’s long-term business strategy, not in addition to it. Karyn Twaronite, EY Global Diversity & Inclusiveness Officer, is responsible for maximizing the diversity of EY professionals across the globe by striving to continually enhance EY’s inclusive culture and she frequently consults with clients on diversity and inclusiveness matters. Karyn is a member of EY’s Global Practice Group, Global Talent Executive and US Executive Committee.